Product Stewardship is being responsible for the environmental impacts of a product - from the very beginning of the product, to its end. 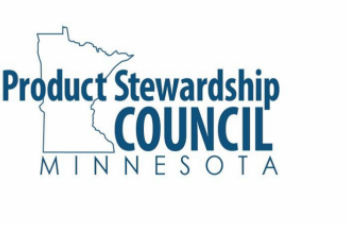 The Minnesota Product Stewardship Council works to build capacity and knowledge among local governments and other stakeholders, to encourage producer responsibility for managing products through their entire life cycle, including but not limited to, products deemed hazardous at end-of-life. The MN PSC educates people on the benefits of producer responsibility for local and state government. Come and help us shape the future of PS policy in the state of Minnesota – and learn to curl on the ice with the experts starting at 12pm, followed by short annual meeting & elections! ​at the Chaska Curling Center. Cost: $20.00 due at time of lesson at Curling Center, the MN-PSC will pay the rest! Bring a clean pair of athletic shoes, carry in - do not wear outside, as must keep ice clean. Dress comfortably. Jeans are difficult – wear loose-fitting, active clothes. Curling arena is about 45-F, consider hat, gloves, and a warm jacket or hoodie. Join the MN PSC to help forward product stewardship. Memberships reduced from $100 to $75 if you join on the day of the Curling Event!